I’ve mentioned in a previous post how much I loved Naima Adedapo’s unique fashion style and her amazing long hair locks which are perfectly elongated. Naima continued to showcase her unique hair and fashion style on the Wednesday, March 9th episode of American Idol with her own rendition of Rihanna’s famous “Umbrella”. Unfortunately while Naima turned her hair and fashion up a notch, her performance was a step in the wrong direction. Unfortunately she was noticeably off-key and did an unusual set of dance moves. Yes, she took a lot of risks with her hairstyle, her fashions and her high top laced up sneakers. She even took a risk with her song and reggae inspired performance. Tonight, Thursday, March 10, 2011 the results will be in and time will tell if Naima is booted off for her risky off-key singing. If she lives another week it will be interesting to see if she tones down her look, her hair or selects a more appropriate song. The judges were very kind about her performance but at the end of the day it’s the fans who have final say if Naima will get the hook. Although I didn’t enjoy her singing, I hope she sticks around a little longer so I can eyeball her always interesting hairstyles. A beautiful locked Naima Adedapo appeared to be headed out the door on American Idol, Season 10, until literally the last few minutes of the show. Although Jennifer Lopez called the delighted Wisconsin contestant “an exotic flower in a rose garden” after she sang Porgy and Bess “Summertime”, Randy was less complimentary and told her fell short. Randy, who has become the judge who tells it like it really is (bless you Randy) told the tall and model like contestant she failed to compare to Fantasia’s version. After the Top Ten were revealed the judges were able to ask six of the rejected contestants to sing one last time. Ultimately the judges selected three wild cards, Naima Adedapo, Stefano Langone and Ashton Jones. Naima Adedapo seemed shocked, but also relieved, to be going on to another competition. The big question is whether she will be able to last or not? In past seasons wild cards have gone far but today’s American Idol is a new show with kinder, gentler judges. 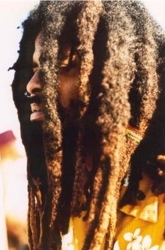 As reported by The Huffington Post, several Rastafarians and other prison inmates have been moved to a high-security prison as official push the prisoners to cut their hair. The standoff between the prisoners and prison officials boils down to issues of religious belief versus state’s grooming policies for prisoners. This is not a new issue. In fact, many inmates have reportedly spent more than a decade in isolation for refusing to cut their hair. The prison puts those refusing haircuts into a program to persuade them to cut their hair. Virginia corrections department spokesman Larry Traylor told the media that nine of the prisoners chose to go back to segregation rather than cut their hair. While corrections officials said the the program to encourage compliance with prison haircut rules offers inmates more privileges and a change to socialize, the prisoners not wanting to cut their hair aren’t buying it. In letters to the AP, the inmates criticized the program and said it was just segregation by another name. Although I somehow fell through the Oprah cracks as one of her ultimate viewers, I have actually been watching the show since the beginning. I will admit that many of the shows I focused on were related to hair and beauty topics because afterall, that’s been my focus for a long time. Recently I found a huge three ring binder stuffed to the brim with clippings and notes I had squirreled away over the past 25 years with all kinds of hair and beauty tips, notes and obscure goodies. One one of the pages I found a note to myself about New York’s fabulous weave and hair extension expert, Ellin La Var, who has appeared on Oprah. I popped over to Ellin’s website and sure enough, she has a video clip from one of her visits on Oprah where they discussed the fact Ellin had coiffed Oprah’s hair with a weave. 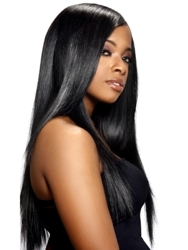 Yes, we all know that Oprah has Andre Walker as her long time show hairdresser but she obviously worked with Ellin at various points in her career and admitted to wearing weaves. Is Oprah’s Hair A Weave Or Not A Weave? 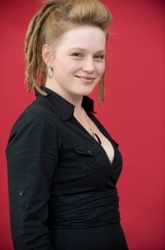 It’s been a year since a dreadlock adorned Crystal Bowersox appeared on TV screens as an American Idol contender. She was instantly a standout from the other contestants due to her trademark dreadlocks which she wore in an array of different styles from down around her shoulders to up in an array of chic twists, knots and half up/half down styles. Like one of her heroes, Melissa Etheridge, she walked to the beat of her very own drummer. Crystal resisted cutting, coloring or significantly altering her signature dreads because of the commitment she made to remaining true to her own unique hair and fashion styles.